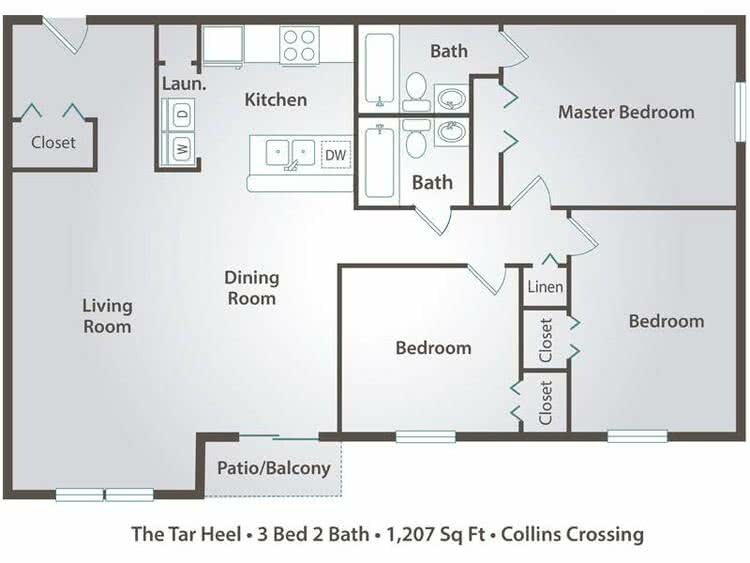 The Tar Heel is a spacious, fully renovated, three bedroom two bathroom floor plan. This apartment gives you the luxury of a stunning kitchen and a patio/balcony. The great features contribute to making you and your family feel right at home!